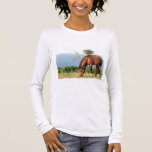 Quarter horse standing at horse rail in a fenced field. 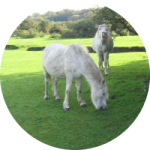 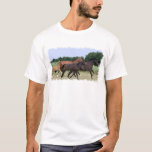 Pair of Belgian Draft horses. 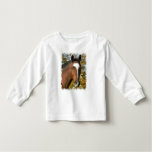 Paint horse photo design for paint horse lovers. 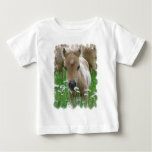 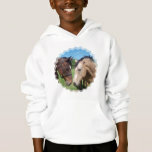 Baby horse smelling wild daisies in a field baby t-shirt. 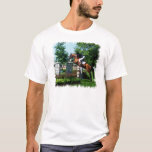 Grand prix horse jumping a large fence. 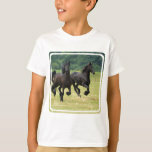 Race horse galloping on a race track. 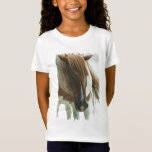 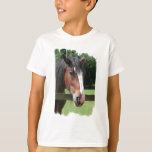 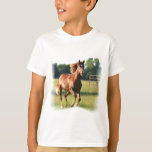 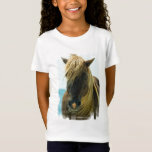 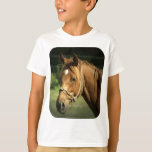 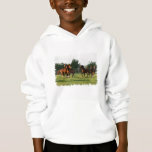 Chestnut horse galloping in a field kids t-shirt. 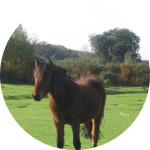 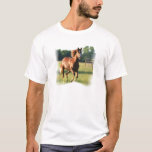 Sweet chestnut pony for horse lovers and riders. 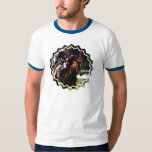 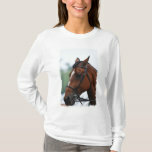 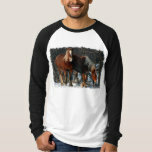 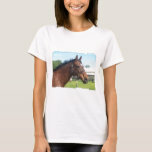 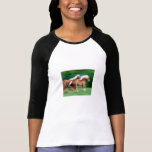 Chestnut horse galloping in a field t-shirt. 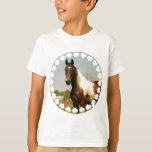 Wild horse heard galloping at a round up photo design. 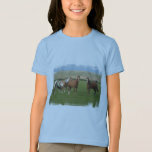 Grazing quarter horse in a field.